Last Sunday, I shared with my ministry team that there is a divine portal that is open for us over the next few days. As I stated last week, we are in the middle of a sacred time. We still have a few days left in this season of transformation to make a FRESH START! According to the Hebrew Calendar we are at the head of the year. It’s already a new year. I want to help you get ready for a fresh start. You don’t have to wait until January to begin your new year, you can start right now! Our God is so wise and so gracious. He keeps right on making a way for you to come into divine alignment and to walk in all the blessings of your new covenant. Did you know that each and every day is a brand new opportunity for a fresh start? Yep… each day you are like an artist before a fresh canvas. You can paint anything you desire. The question is; are you inspired to paint a new picture or are you still painting the same thing you painted yesterday, last month, or last year? Are you still seeing the same picture from 5, 10, 15, or even 20 years ago? Changing your perspective. Shifting how you see things, judge things and speak about things. Getting really clear about what you want NOW! If you are not sure about what you want, start with what you don’t want. Let’s get this done %$firstname$%… Join me on October 17th and 18th in the ALL NEW…. 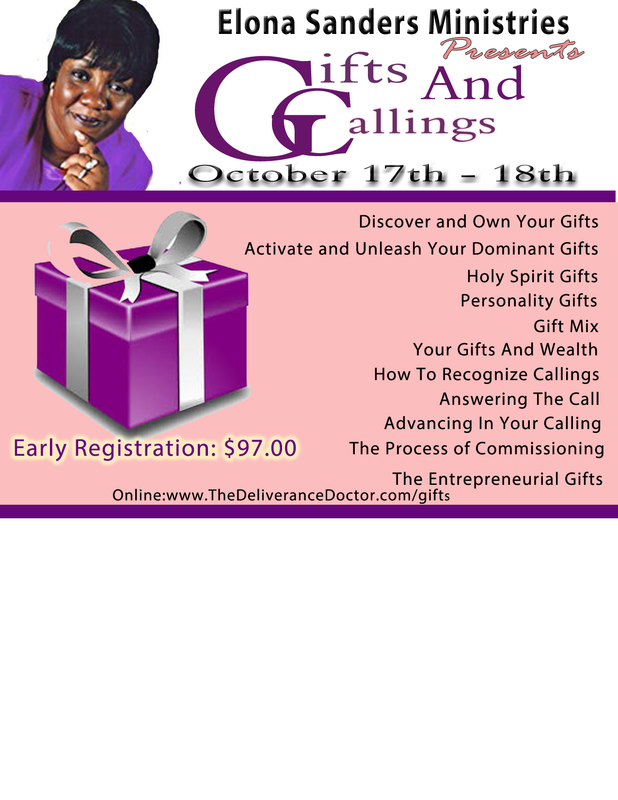 GIFTS, CALLINGS, AND COMMISSIONS MASTER CLASS! It’s time to discover who you really are at your core. Define your purpose. Unleash your true voice and be commissioned into your Divine Destiny! A Confused Mind Does Nothing! Click Image for more information or to register!